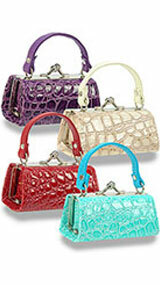 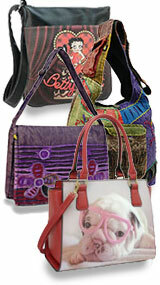 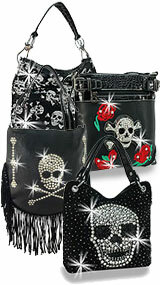 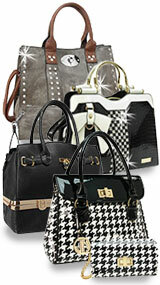 A highly decorative fashion handbag featuring a winged, rhinestone accented, metal Skull and Crossbones centerpiece. Decorative stitching and flat, round studs accent the front. 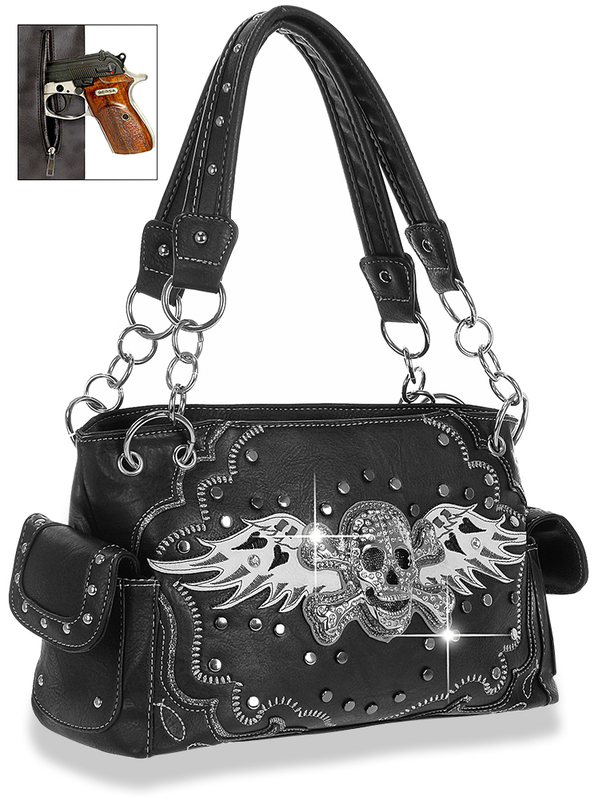 Also featured is a special, zippered pocket on the back for your concealable handgun.